Following the success of Gerard Reve’s The Evenings, Pushkin Press have released a translation by Sam Garrett of two of his novellas (originally published in 1949 and 1950) under the title Childhood. If this, alongside the gentle sunset pinks of the cover, elicits thoughts of youthful innocence, you will perhaps be surprised by the contents, which are more faithfully represented by the darkness beneath the bridge. This is not a darkness inflicted on children by adults, but the twisted, sometimes violent, minds of his protagonists, who exist in a world which is quite divorced from adult experience. When Elmer returns to Werther’s house it is obvious that her husband is aware of his wife’s ‘nervous’ problem, and Elmer ensures he is invited on a family outing to a “miniature circus” with an aunt which is clearly intended to keep the children out of the way. (The show itself turns out to be ‘inappropriate’, another glimpse into the hidden adult world). It is becoming clear that Reve is a major writer whom we are only now beginning to appreciate in English. 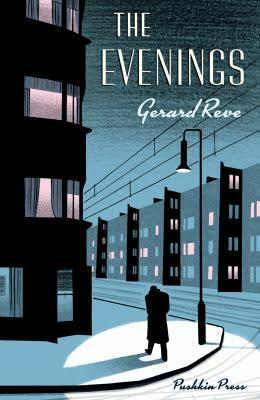 Gerard Reve is generally regarded as one of the three major post-war Dutch writers alongside Harry Mulisch and W.F Hermans. While Mulisch has been reasonably well treated by translators (though much of his work is now out of print) and Hermans less so (though both Beyond Sleep and The Darkroom of Damocles are well worth seeking out), Reve has been all but neglected. (So much so that in 2011 he featured in Writers No-one Reads, where you can find an exhaustive list of what was available in English at that time). Last year he was finally recued from this oblivion when Sam Garrett’s translation of his first novel, The Evenings, was published by Pushkin Press. Later, with reference to visiting his brother, he thinks, “We shrink from nothing… It would be childish not to go. One must face one’s torments head on.” Though never explicitly stated, he seems as despairing of his own existence as he is of others. His nights are frequently spent searching for company or going to the cinema, almost anything to distract him from the emptiness of his life: Frits’ unpleasantness is redeemed by his own despair. Frits’ own tears are existential, here contrasted with his mother’s tears of frustration, but “Shall we pause and feel sorry for ourselves?” is the danger he feels, and fights off, constantly. 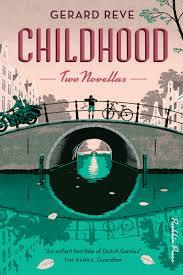 Frits’ complexity is the novel’s greatest success. It has been compared (by Herman Koch) to The Catcher in the Rye, and, though I am naturally suspicious of any comparison which appears on a book jacket, there are many similarities. Frits may be older, but he suffers from the same narcissistic ‘what is the point of life’ isolation, let down by, and alienated from, everyone he knows. Let down, also, by the seventy years we have had to wait to read this powerful addition to the genre. You are currently browsing the archives for the Gerard Reve category.